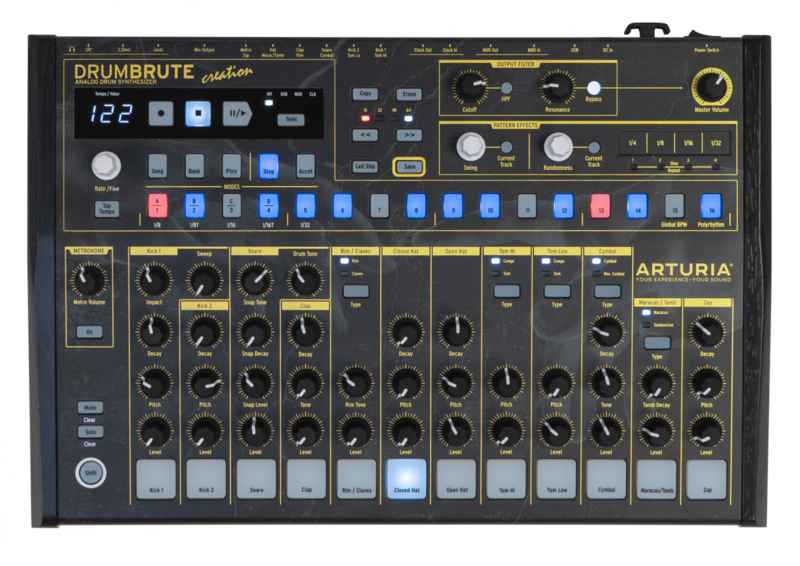 Arturia's Brute series of hardware synths and drum machines have found many fans over the past few years, impressing creators of all kinds with their all-analog signal paths, rich sound, and affordability. Today, "from one creator to another," MicroBrute is releasing a special edition "Creation" design for its MicroBrute portable monophonic synth and the DrumBrute groovebox and sequencer. The body features a close-up snippet of Michelangelo's "The Creation of Adam" on otherwise unchanged machines. The DrumBrute Creaton features the same unique 17 drum sounds as the original, as well as the 64-step sequencer, Steiner-Parker filter, and tweakability through which it made its reputation. As you can see in the photo above, the hands of God and Adam from Michelangelo's Sistine Chapel fresco are front-and-center of the chassis. 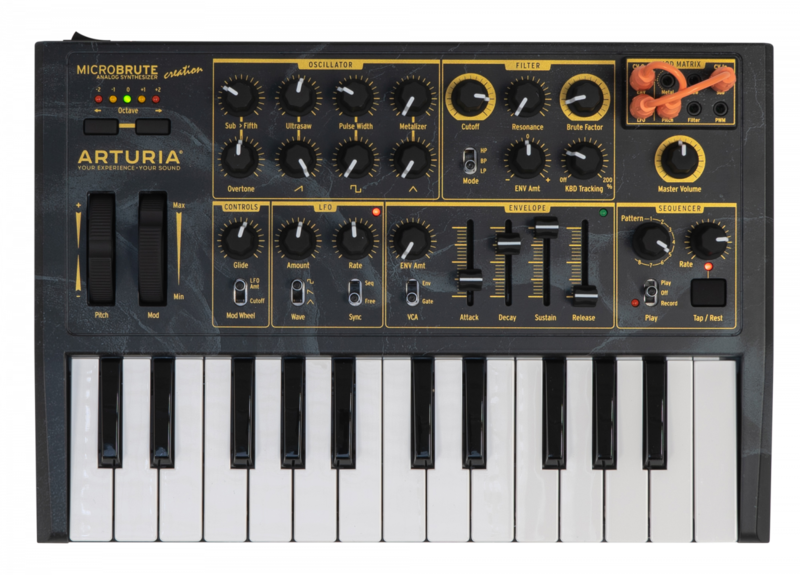 The MicroBrute, originally released in 2014 as Arturia's even smaller companion to the MiniBrute—features a small patchbay, 25-key keyboard, and three mixable waveforms. While the MicroBrute was once available before in a limited edition red colorway, the MicroBrute Creation displays the same stylized take on the "Creation of Adam" as the DrumBrute. Be sure to check back soon for availability. Arturia's official "Creation" launch video.